The Tabasco sauce is of an excellent quality is not for nothing, is the number one hot sauce all over the world. This centenary sauce keeps an entrepreneurial history whose familiar tradition continues since its invention. Spite of it is easy to find it in the super markets, the kitchen lovers prefer to make our homemade recipe. Right now, we warn you that it is necessary to be carefully at the time of handle the main ingredient of this hot deliciousness, the red chili. Avoid touching your eyes and mouth while cleaning the chilies and washing your hands several times. See below the step to follow, to make the homemade recipe, now let us spry a bite about this sauce. 1.1 Where is the tabasco sauce from? 1.2 When did he has the idea to create Tabasco? 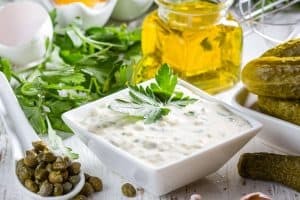 1.3 How does the name of this spicy sauce emerge? 2 The Tabasco sauce Price. Where is the tabasco sauce from? The origin of this sauce day back to 1861, in the city of New Orleans, Lusiana. All the history begins after the arrival to New Orleans of the American of fourth generation Edmund Mcllhenny. Who was of Scottish – Irish ancestry and pretend to make incursions there, in the bank industry. During the first years in the city of Edmund knew a Young woman that in 1959 became in his wife, Mary Eliza Avery. Already married, is when know to a traveler named Gleason, whom presents some red chili (Capsicum frutescens) from México. They were used to season his food and caught his attention the exotic hot flavor of the chilies. Reason why makes him to plant some seeds in his own garden to taste them in next recipes. When did he has the idea to create Tabasco? When the plants begin to give fruits, Edmund dedicated to prove some experiments to elaborate a sauce with this fine and spicy flavor of the red chilies. Puts into practice his creation and dares the palate to achieve the perfect formula that consisted in two stages. In a first period of 30 days, placed the crushed red chilies with a few salt of the Avery Island, originating of the Mary family mines. For another 30 days mixed the obtained paste with vinegar made of French white wine. This is how emerges this delicious sauce in Lusiana, which everybody knew like the wonderfull to the sauce of Mr. McIlhenny. How does the name of this spicy sauce emerge? Edmund named Tabasco sauce because means warm and humid land in his náhuatl language. Very soon, was popular in United State, it was bottled in bottle to reach to the other cities of the country. 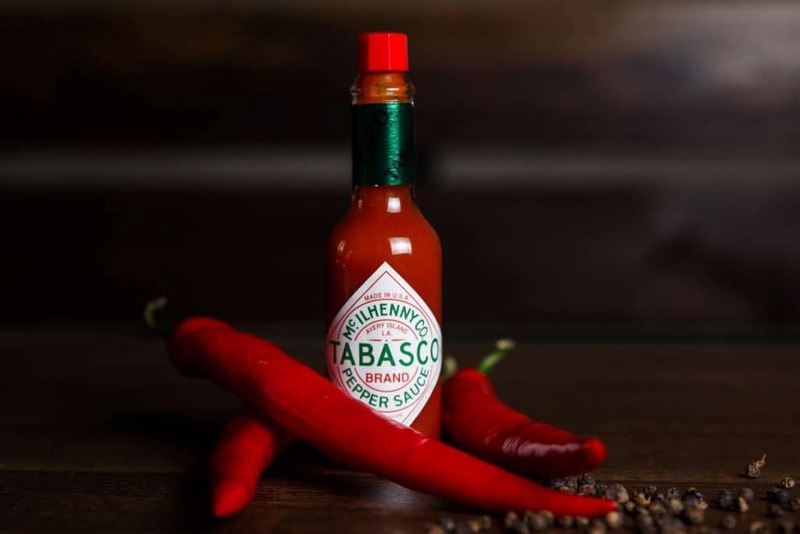 Nowadays, the McIlhenny Family continues his tradition and is the responsible of the Tabasco production, a sauce with more than 150 years of created. Without altering any ingredients of the original formula, respecting, mainly the excellent quality of them. The mixing of this successful trade recipe remains 3 years in barrel made of oak, and then is sell in more than 160 countries. The tabasco sauce can be get at any Supermarket or on recognized websites. As it is the case of the Amazon, where a bottle of 60ml has a price of 8 dollars. 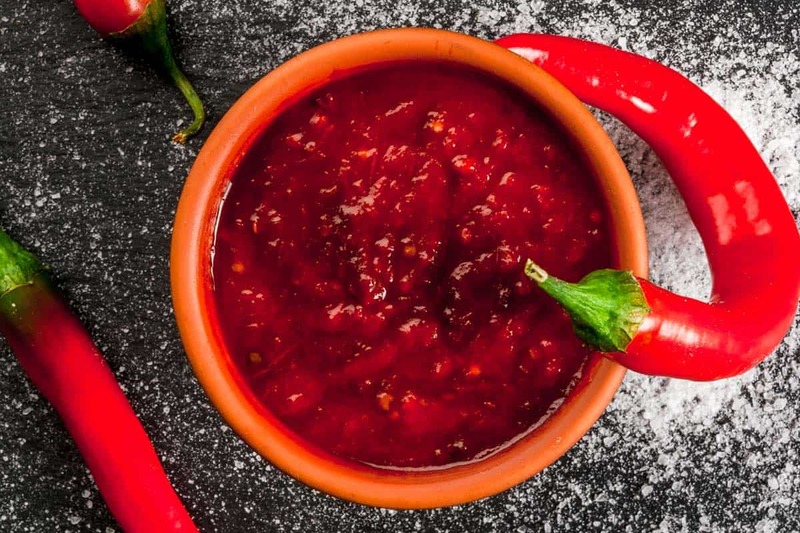 The tabasco sauce, the number one of all the spicy sauce all over the world, we tell you what you need to make this recipe. Clean well the chiles and for cut vertically, remove the seeds, the up part and the white vain in the middle. In a Frying pan over a low heat, cook it, just a little bit until it has let the aroma go of. While we throw the corn starch into the water, set to boil, stirring until its get dense and remove it from the flame. Later, blend the obtained cornflour together with the garlic, the vinegar and the salt, untill have all the ingredients completely integrated. Place it and let to get cool at a room temperature. Reserve in a glass recipient.